On Monday night, the NBA held their annual awards show in Santa Monica, California where they reward those who stood above the rest as the league’s best players. Hosted by Anthony Anderson, the event revealed this year’s MVP, Rookie Of the Year, Defensive Player Of The Year, Coach of the Year, and several other accolades (see winners here ICYMI). 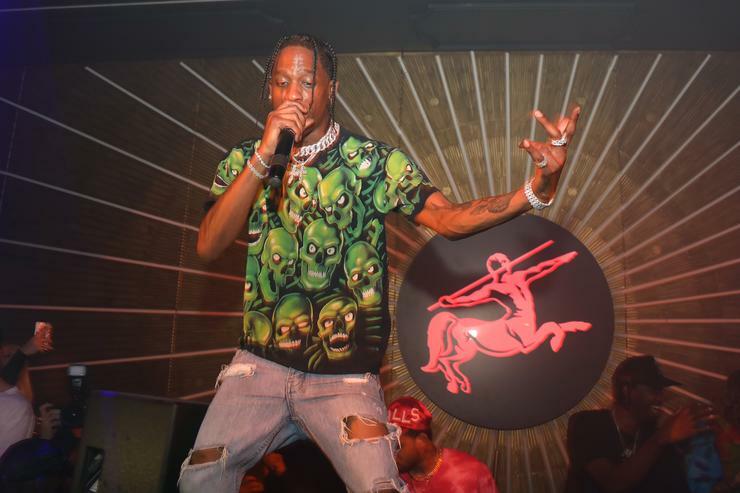 In addition to the awards however, there was also a guest appearance from Travis Scott, who graced the stage to perform a medley of songs, including “Watch,” “Goosebumps,” & “Butterfly Effect,” backed by some blurry visual effects. This performance comes just a few weeks after Travis brought out the newly-announced MVP, James Harden, out on stage at Governors Ball to rock out with him. If you missed it earlier on TNT, we got you covered right here. Check out the live performance (below) and let us know what you think. Look for Travis’ AstroWorldalbum to be on the way, or so Travis has been teasing. Stay tuned.